How Long Does It Take Google To Show My Authorship Face? HomeHow Long Does It Take Google To Show My Authorship Face? I have read a lot of articles recently how adding the Google Authorship Markup can greatly influence your traffic. That’s the little face / head shot image that appears in the search results next to some pages/links. Many people believe that even if your page or website happens to rank lower in search results that some people are more likely to click on one with an author image than one without it. Now that is a tough call and I think it varies from one person to the next. A regular blogger may be tempted to click on a result with an author image especially one that they recognize, but a non-blogger or casual general searcher might be accustomed to clicking the first result. When your image is displayed next to your article/post after doing a Google search it should encourage and bring more visitors, but it is nearly impossible to predict just how much more. There are just too many factors involved. 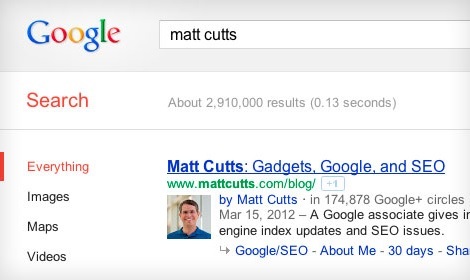 Just how long does it take Google to show your authorship image / face in search results? There is no specific time period that you should expect. It varies from one author to the next. There are a few very popular sites/bloggers that have said their image showed up almost instantly. It seems to vary for the average (less popular) person or website from several days to possibly even months. How long did it take for my image to appear in Google search results? I added the Google Author Markup to some of my posts on April 13th, 2013 and I added it to more the following day on April 14th, 2013. I didn’t expect to see anything for a while, but out of curiosity I did check once a day. On April 16th, 2013 I started seeing my image in search results. Not all of my posts and pages, but around 10 or so. Keep in mind that is barely 3 days after adding it. Not too bad, and that was much faster than I was expecting. A day later (4 days total) on April 17th, 2013 I found approximately 70 of my posts in Google were displaying my image. 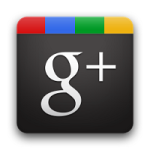 I signed up for Google Plus at the same time that I added it to my posts and pages, which was April 13th, 2013. One interesting thing to note is that once I started seeing my author image in results the majority of them were pointing to blog posts (WordPress powered). There was only a small handful to my Dolphin Tutorials (Boonex Dolphin powered) at the time of this post. 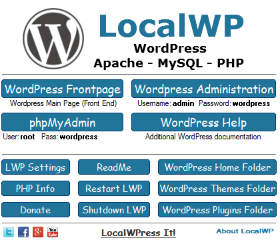 Does Google favor WordPress websites? It seems so in this case. Things to note about my website and content. Whether the following plays a role in determining how fast an author image may appear in search results I couldn’t tell you for sure, but I am including this for reference. I have owned this domain for 10 years now. I have content, articles, tutorials, etc. that are almost 5 years old. So this site and my content have been around for a while. I don’t do a lot of SEO or backlink building, but some. I would say my efforts fall into the light SEO category. My homepage had a PR2 at the time, and Alexa Rank was around 60,000. How long will it take for your Google Author image to show up in search results? As I mentioned earlier Google doesn’t guarantee a specific time frame, or that your image will even show at all for that matter. I could be one of the lucky ones since mine started appearing in 3 days, but I am definitely not the most popular blogger or website out there. If you are lucky you could see your image show up in as little as 3 days. If you are not so lucky it could take a couple of weeks or even months so be patient. If you have already added the Google Authorship Markup code to your website how long did it take for your image to appear in Google search results? I added it and had to wait 2 days I guess but all of my inner pages are still to be affected. I am seeing my image on most of the links but I guess it might still take sometime to see it on all the posts. 2 days is pretty fast. I was surprised that mine didn’t take longer. I wasn’t really expecting it to appear so soon. Some of my posts seem to be jumping I guess I would call it though. One day they show my image in search, and the next the same post and search doesn’t show it. Although I haven’t checked them extensively. I mostly wanted to make sure I could actually see and find them so I knew it was working and I set it up right. Rich snippets tools and detects authorship implementation too. I hope someone finds it useful to check if their implementation is right or not even if they have to wait for somedays after claiming the authorship. I read a few articles before adding it and they were all saying a different time frame. Some of them all the way up to 2 to 4 months, which seemed like a long time. I figured I would keep an eye on it for a week or two and see what happens. Three days after adding it I did start to see it appear for a few search terms. The following day I found a lot more. I am guessing it probably varies to some extent, but it’s nice to know that for the average person/website it really doesn’t take very long at all. When this was first being introduced Ray they were saying it would probably take about two weeks. Like you said though, that’s not necessarily the case for everyone but a good guesstimation. I don’t remember how quick mine showed up because I was just expecting around two weeks so I didn’t go checking to see before that. I know when it first came out everyone was talking about it, and there were a lot of people that added it right away. Actually I don’t even know how long it has been since they first announced it now. I put it off for a couple of reasons. One is I am not a big Google fan, and the second is because I wanted to see how things go for everyone else first. The more I would see images in results the more I thought I really should add it one of these days. Two weeks seems fast enough though. I would have been happy enough with a number like that. I would imagine that Google improved the process since they first introduced it, and maybe that is why it only took a few days. You never know with Google though. They are constantly change things. I assisted one of my clients with Google Authorship and was able to see his face on Seprs within 5-6 days. Its true that Google authorship is gaining credibility and its very popular among movers and shakers. A must-have for bloggers. You really were one of the lucky ones, apparently. I agree with the fact that a blogger would click one with authorship face, but a random searcher would mostly click on the first result. 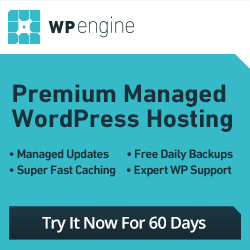 I also had to agree with the fact that Google favors WordPress. It always did. Just went through the comments to realise why my own one is taking so long to appear is because I used an illustration and not a picture of a human face. I have included no link with author link, I went directly with the method of adding code on the and used the snipped to check it was working fine. If I remember right when Google Plus first launched they were letting people use illustrations, clip art, cartoons, and that type of thing. Now you don’t see it so much. I vaguely recall reading something a while back that said Google had some way of telling if an author image was a real face shot or some kind of artwork. I do see a few illustration cartoon types of things in Google yet so maybe they don’t catch them all. It seems to me you can use a non-face shot for a business type of Google Plus page like a logo, but personal pages they appear to want a real face shot. So it is entirely possible that an author image may not appear in search results if you don’t use a real face shot. Thanks for this helpful post. I just added Google Authorship today and was curious as to how long it will take to display in search results. Great comments! I’ll keep track and come back to chime in on the timeframe! I don’t remember how long I got my authorship but I’m pretty sure it was within a week. Having Google Authorship to show on search results is cool, but I’m not so sure if it’ll help attracting people to click on it. People usually click on the first 5 results regardless of with or without authorship. Good to see you! A weeks time is great. Thanks for verifying that. I think it is kind of cool too, but a little strange too. Years ago nobody wanted to show their face online. I usually click the first couple of results too, but occasionally if I see a familiar face I will check out their post as long as I am there. Getting error like this – Email verification has not established authorship for this webpage. If you have the author markup added to your site and you have added your site to the contributor area in your G+ profile this is usually all that is needed. If you want verify your email for your domain you can do that as well. Google will send you an email to an address at your domain name, and all you need to do is click a link in the email to verify it. But, you don’t need to. It is just another verification step you can do. Thanks, just added and got msg – Email verification has successfully established authorship for this webpage. How long it takes to show up in google search results. If you have the authorship markup code properly setup on your page/site most people are saying anywhere between 2 days and 2 weeks on average. There is no guarantee though, and they also don’t guarantee that your image will actually appear in search results. It just depends. I do have better luck using the ?rel=author added to the end of your Google Plus link. For me it seems to work faster, and appear a little more when using this method. 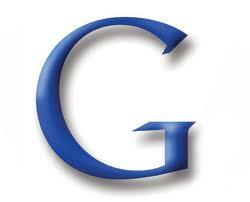 I am using logo in my profile, most of my friends told me, google wont allow logo at google search results. When Google first came out with this a lot of people where using logos, but I just don’t see them very often anymore. They do want you to use a face shot. I see a few cartoon types of man/woman images once in a while, but not very often. For the best chances of seeing your image in search I would use a real face shot. I know in the early stages they were allowing logo’s, but now if you are linking a personal g+ account as the author they want a real picture. Otherwise, you could look into creating a business page and using the publisher markup instead. I saw a few blog posts show the authorship info and photo on google within a few days of confirming authorship. I’m still waiting to see it happen to my index page and I’m going on maybe 4 days now.